I love using my Miller Falls mitre box along with my Tico Shooting Board. 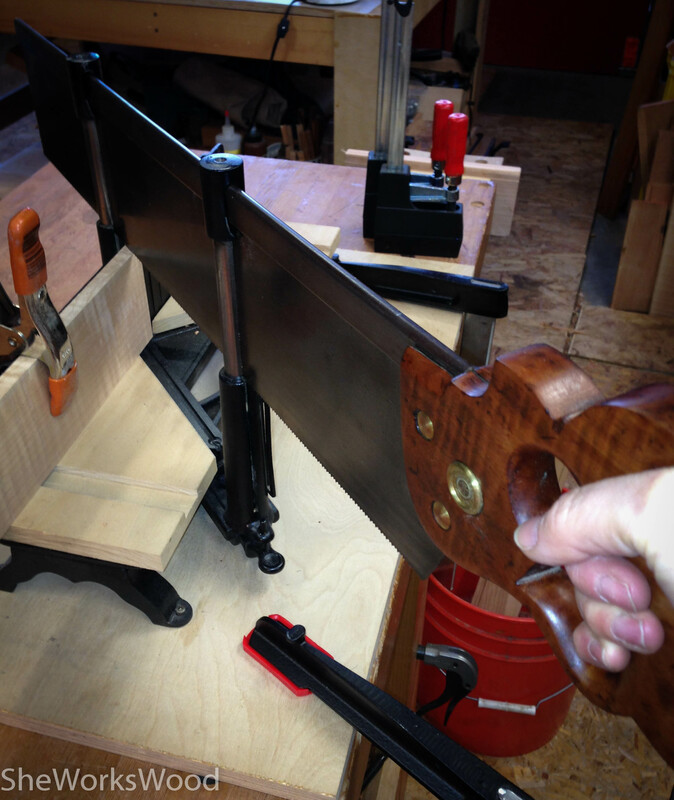 Both make cutting miters fairly straight forward. 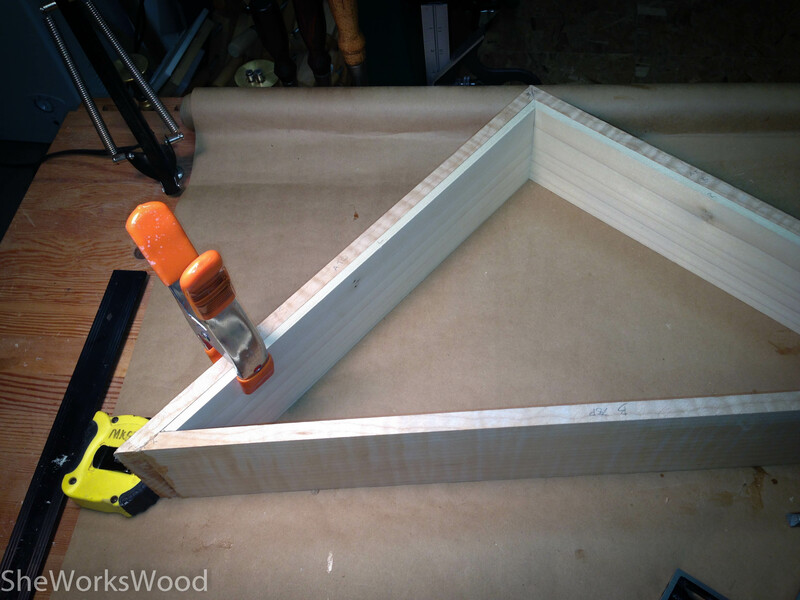 I milled down my curly maple to 1/2 inch and the interior poplar to 1/4″, then cut mitres all around. 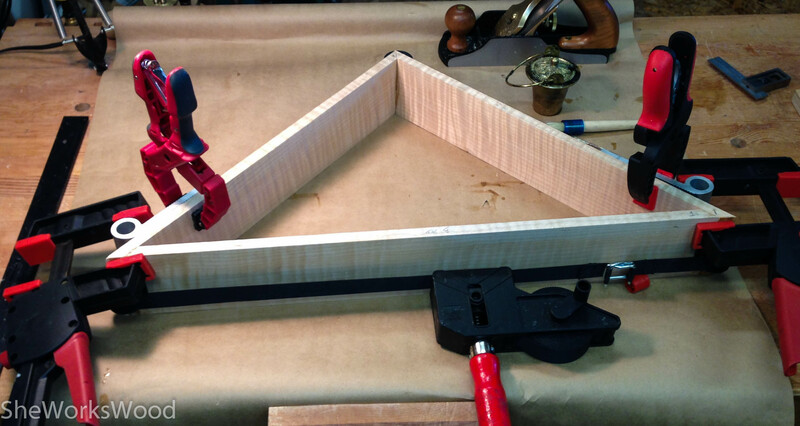 Gluing up the outside frame. Adding the liner that will hold the glass. 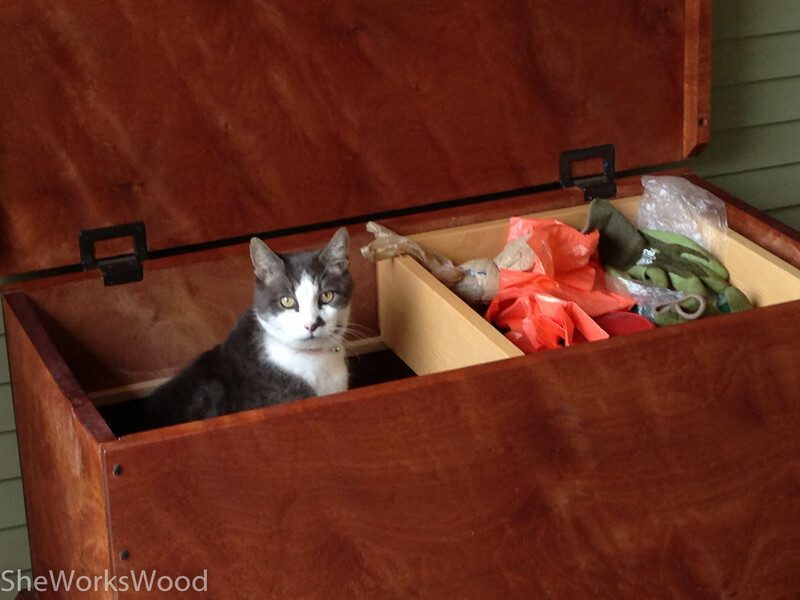 Inspector Kitten checking out one of my previous projects. Hope my mom likes the box when its all done. This entry was posted in curly maple, Flag Box and tagged curly maple, Flag Box. Bookmark the permalink. Hey, Marilyn, what are your thoughts on the Rockler (I assume) strap clamp? The reviews on their web site were decidedly mixed. Some liked it, but many found it flimsily constructed and did not find it satisfactory. From the photos it looks rather toy-like in quality. But having just messed up a mitered frame glue up, I might be in the market for something. Thanks. Actually, its a Bessey Strap clamp and I’m pretty pleased with how it works. This project was a bit beyond the perfect fit for this clamp, but I supplemented it with a Blokkz Clamping Blocks. That is the one I saw on Rockler.